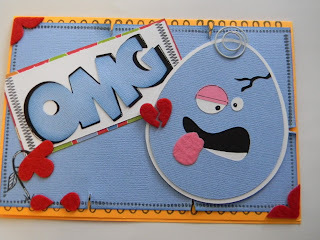 I used the Cracked-egg die cut from Smiley Cards, and the phrase OMG from the same cart. I added altered felt stickers, stamped stitching, flocking on the tongue, and a clip from my stash. A little doodling and texture-gets the point across... whatever it may be! Ha, perfect card for a Monday!! Love it! 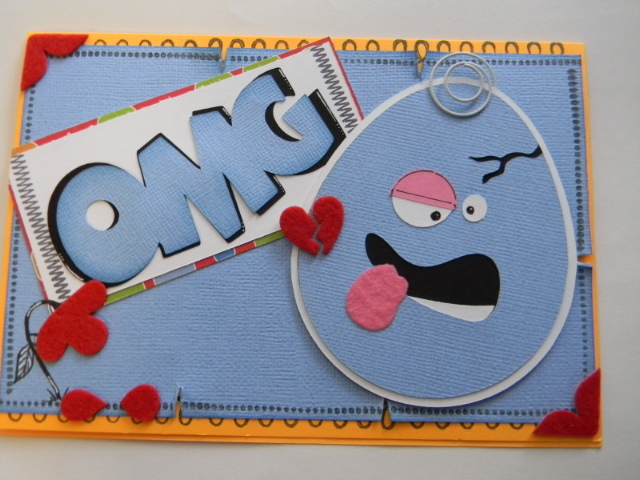 I have OMG moments often..lol...super cute card! this is crazy fabulous! it just made my day! 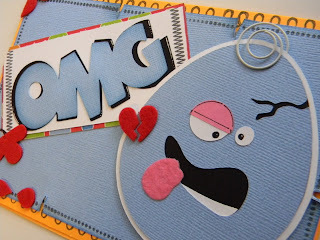 thanks for playing with us at Scrappy Moms Stamps! Super cute card. I have way too many OMG moments. Hi Raquel, I have an award to share with you, please pop over and pick it up! OMG This is so funny!! Love it all! 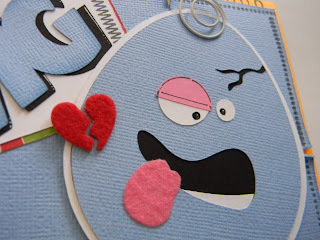 Thanks for playing the Crafty Creations challenge! Love your card. I am a new follower. Momo sent me. Visit my blog for a chance to win some blog candy. This has got to be one of the cutest cards I have ever seen. I love it! I also like the other card after this one, love that one too. I am a new follower and Momo sent me. Love it!! Too funny!!! I have an award for you at my blog!! TFS!! Take Care! !